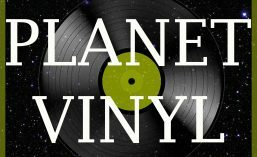 Allegations are flying that Planet Vinyl has sold out. A puerile head of state, who shall remain nameless, has Tweeted: “So-called ‘obscure’ music blog writes about ROLLING STONES in failed attempt to boost LOSER ratings. Sad.” Well, Sir, normal service has been resumed. I had never heard of Rim D. Paul, but one of his records came my way. And, wow! Yes, it is derivative. There is some Wilson Pickett there, and a lot of James Brown. But, who cares? The band rocks, and Rim gives a stellar vocal performance. Rim, I learned, is a legend in New Zealand, a pioneer of Maori music breaking into the mainstream. The Maori are the indigenous people of New Zealand. Like the indigenous peoples of my own country, and indeed pretty much every colonial-settler society, the Maori have had a rough road. But they are resilient, proud, adaptable, and a people with an amazing feel for music. Listen, just listen, to a Maori choir. A whole community singing together, weaving in Maori tradition, mission hymns, and the popular music of the world. Rim Paul was a bridge builder. Back in the 1960s he led groups, such as the Quin Tikis, bringing Maori musical talent into the mainstream – first in New Zealand and later in Australia as well. He also worked with or led the Howard Morrison Quartet and the Maori National Choir, exploring an extraordinary variety of musical styles. Wanting to learn more, I found an interview Rim did with Radio New Zealand a few years ago. He talks of his long, varied career, his journey exploring and recovering his Maori identity, the struggle to make a living as a musician. He shows an undiminished voice and love for music, not to mention a dignity and grace which the odd world leader could learn from.